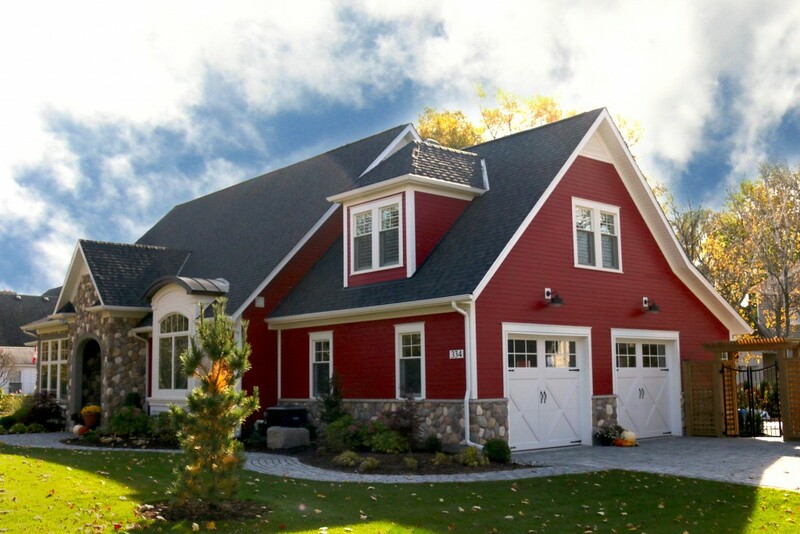 Kenneth Homes is a family owned and operated Home Builder in the Niagara Area. 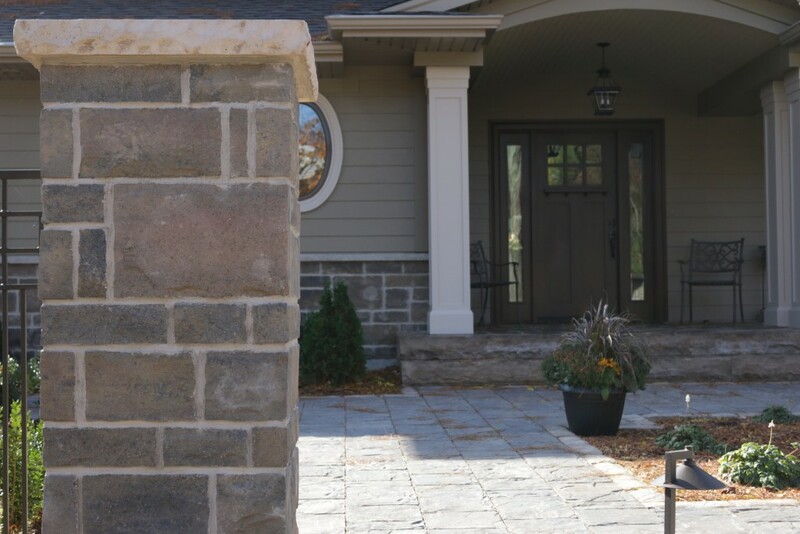 Their family has been in the construction industry for nearly half a century, starting with Masonry Contracting and adding the Home Building division in 1986. They pride themselves in quality, service and integrity. Whether building new, or renovating what you already have, they are there to serve you. This was the first re-design that we took on. When Kenneth Homes came to us, it was a 1990s flash website. All of the writing within the site was actually image files, which made it unsearchable by google and other search engines. On top of this, even text in a flash file is more difficult for search engines to discover–it’s risky business and safer to stay away from flash. That’s why we gave it to the Doc, he tossed it in the DeLorean and after reaching 141.622 km/h, we saw a flash and BAM! the website was futurated. 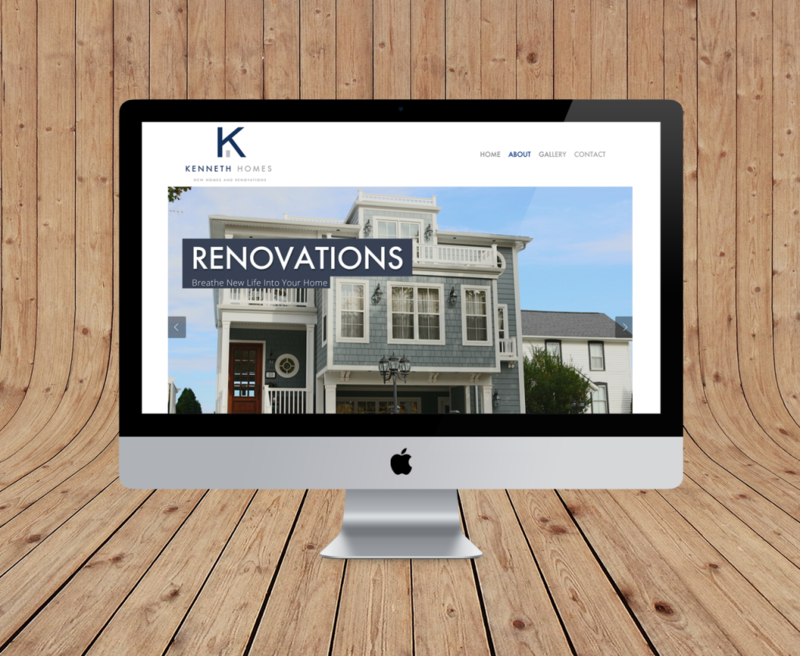 The team at Kenneth Homes desired a simple, user-friendly website that mirrors the pleasant experience customers have during a Kenneth Homes renovation or build. 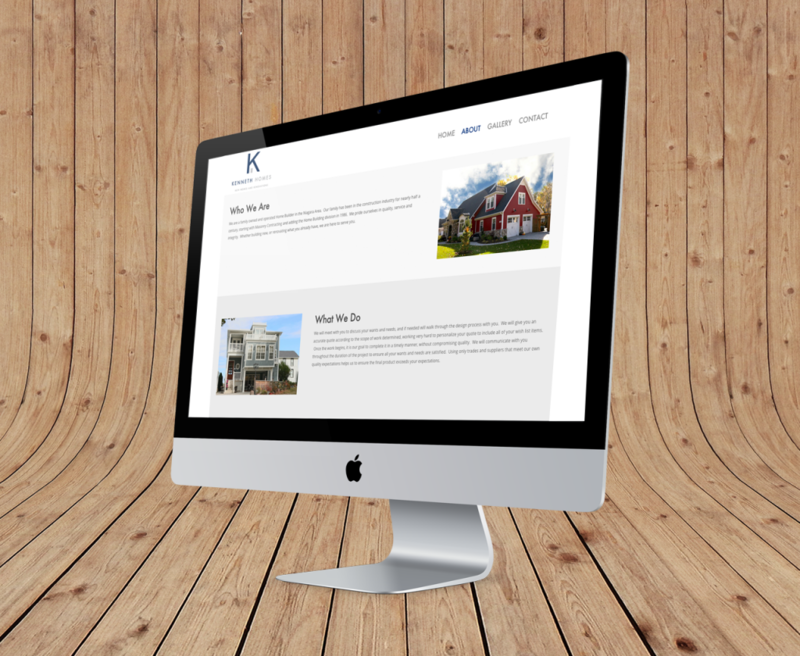 At the bottom of every page is a contact button that, when on mobile, a single click connects customer to Kenneth Homes! 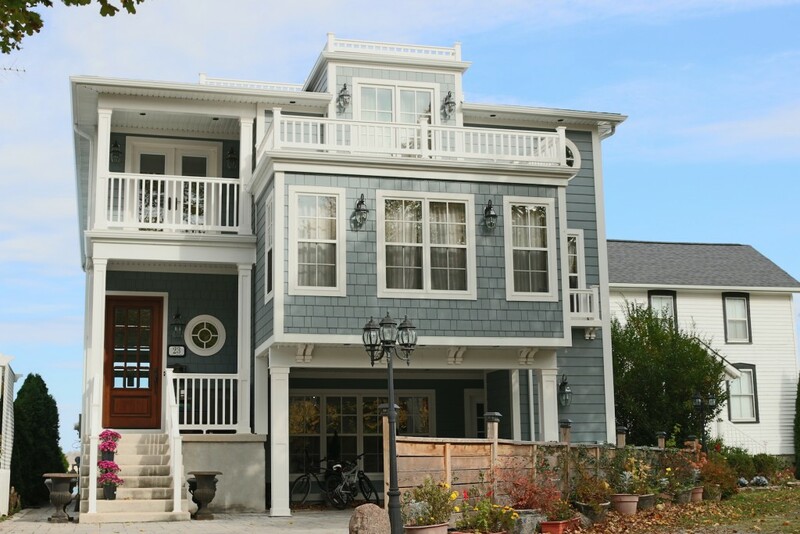 There isn’t an overabundance of material to read on the site as the photos of their renovations and builds are all they need to show a future client their level of excellence. Shooting for Kenneth Homes was like being asked to enter a fairytale and be given a full access pass to some of the most beautiful homes in the land. 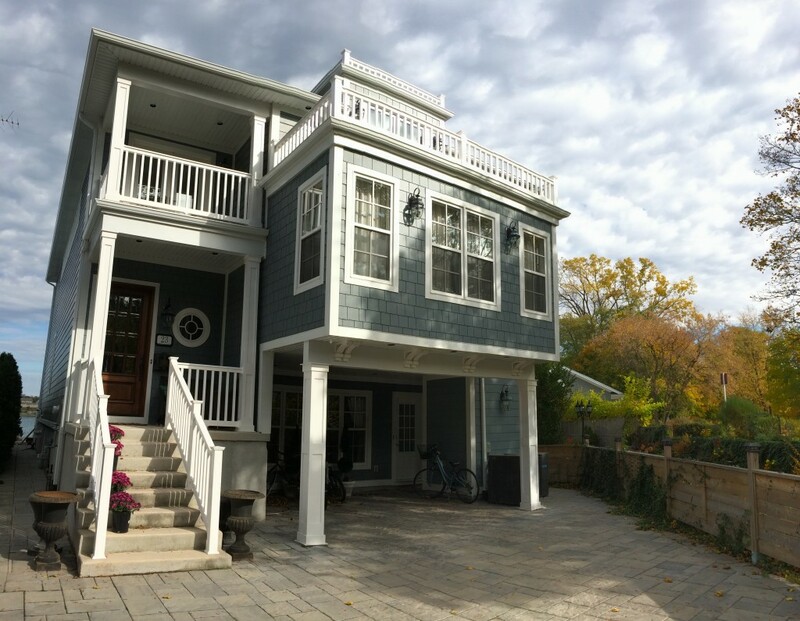 Touring the gorgeous neighbourhoods of Niagara-on-the-lake, we photographed the fantastic homes that Kenneth Homes built and renovated. 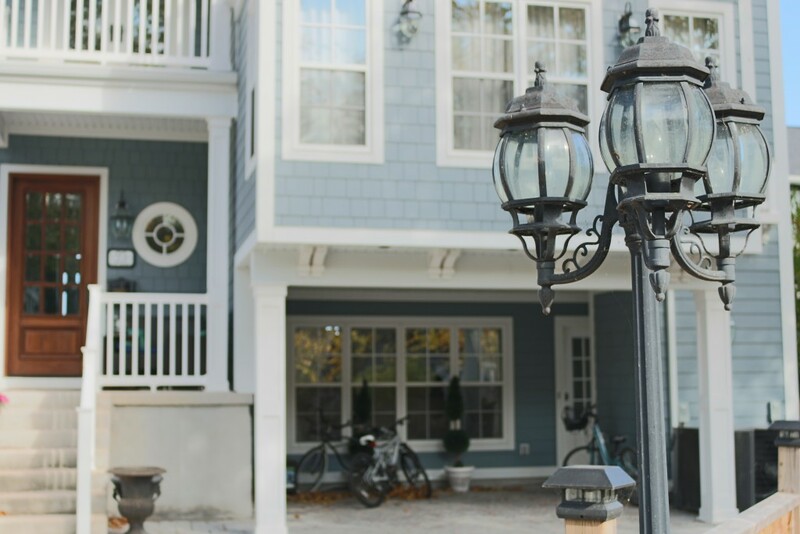 In order to capture the raw beauty of the homes on camera, we considered time of day, weather, types of lighting and the angles that we shot at. We thought about shooting the homes at night, but decided it was a bit too dramatic. Bright, blue sky-backdrops and sharp details were the desired results, and we got all of that and more. Shooting for Kenneth Homes was like being asked to enter a fairytale and be a full access pass to some of the most beautiful homes in the land. Touring the gorgeous neighbourhoods of Niagara-on-the-lake, we photographed the fantastic homes that Kenneth Homes built and renovated.